Home > News > News > New Year, New Excitement! Happy Soon-To-Be 2014! 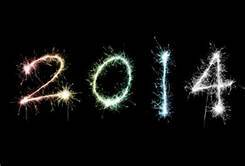 We’ve been super busy planning an exciting year of Celebrity Concerts and Original Shows for 2014. We think we’ve put together a line-up that’s hard to beat. We’re excited to have some AMT favorites returning to our stage like Vince Gill, Foreigner, STOMP, Bill Engvall, and The Gaither Vocal Band. We’re also thrilled to welcome some new artists including Kristin Chenoweth, The Sing-Off Live Tour, In The Mood, and our own Original Show favorite Wess Cooke. Keep an eye out for some brand new additions that we’ll be announcing very soon! Not only will we have terrific concerts all year long, but we’ll also be presenting two Original Shows in 2014. Back by popular demand, Music of the Night: The Songs of Andrew Lloyd Webber will return in April, and the all-new The 2014 Christmas Show: Joy To The World will debut in November. To get all the latest info on our upcoming shows, click here. 2014 is going to be an exceptional year at AMT. Make sure you’re part of the action!